If a stranger walked up to you on the street and said, "I know a guy, a professional 'fixer,' who can get you a better job, make sure you get more money, attract a perfect mate, and even manipulate other people to make things, you know, go BETTER for you," you'd probably think he, like TV's Tony Soprano, was inviting you to join a criminal enterprise. But shockingly, people - many, many people - believe this about GOD, the Creator of the universe! Many, in fact, believe He is in the same "business" as Tony Soprano - the business of manipulating the world to "fix" things for those He randomly selects to be in his "family." Many people actually PREFER this view of God because it means we can throw the burden of "Good Works" onto God Himself, and selfishly (albeit PRIVATELY) complain when God doesn't work all things out for our personal, selfish benefit. 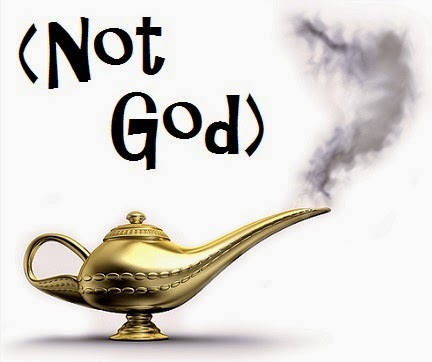 But that paints God as a sky-dwelling puppet-master - a magic genie who manipulates every detail of every human life. This may be a very ancient view (ancient paganism) but it's a completely FALSE, childish, and warped view of God, our world, and of the faith God wishes for us. How shameful it is for us to believe that God, our Creator, can manipulate people we dislike or who aren't on our "team" to lose their jobs, to have car accidents, to be injured, or to get diseases! And how sad to believe that WE should somehow be immune from trouble because God is our "fixer in the Heavens." Again, this is an appeal to paganism and magic, not to Jesus and his, and our, God. This Jesus, the one God selected to tell us about God and what God requires of us, tells us that we are to conform our lives to God's Will and to seek always His perfect purity, holiness and goodness by faithful obedience. By doing this, we will be equipped to handle whatever happens to us during our daily journey. Jesus never tells us we will never be persecuted, hated or despised for doing this. In fact, Jesus says: be READY for it. This is what we sign up for as Jesus Followers, not golden streets, great wealth and perfect health. In reality, Jesus calls us to a healthy, adult relationship with our Father, and wishes us to treat all people as our brothers and sisters, loving them, and Him, with all that we have. 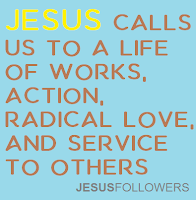 Jesus calls us to take action OURSELVES to build up God's Kingdom, through righteous acts and purified motives. But doesn't God "move mountains?" Doesn't He work miracles, and grant us Grace to achieve what He asks of us? Surely, God does indeed "move mountains" - by granting us ever growing faith by which we can COMPLETELY change our lives into something resembling the one His chosen Spokesman, Jesus, modeled for us during his life, and even in his death. God changes lives in miraculous ways - when our eyes are finally open and we see the wonderful spiritual principles His servant Jesus laid out for us, which will help us achieve the kind of perfection God calls us to achieve. And God never leaves us alone, sending us His Grace when we ask for strength through prayer. And we know that we have Jesus' example and words always with us as a guidepost, showing us how we are to live according to God's Will. We must lay aside the ignorant and pagan beliefs we have inherited from the childhood of the human race. God is not a sky-dwelling Genie who will grant our material wishes and make us rich or healthy; and when we instead seek a simple, profound and straight-forward faith in which we obey God through the example of His Anointed one, Jesus, we enter into a healthy, joyous and adult relationship with our Father. Jesus saves us through his example. He demonstrates for us the Way of perfect service. He shows us the way God expects us to live and act. He leads us to serve others in need of love and kindness. He teaches by his example that we all may perfectly obey God, our Creator. His life demonstrates the self-denial and sacrifice that leads to perfection. Jesus, a man like us, was chosen by the One God, Yahweh, to be our Exemplar. 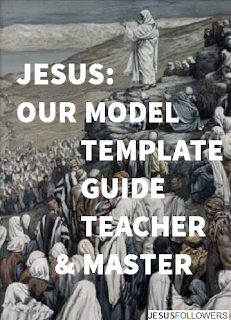 He is our model, our template, our perfect guide. He shows the Good Works we must do for others. He leads us to bring in God's Kingdom here on earth. He teaches us to forgo revenge, hatred and violence. His example shows how to live, love and even how to die. Jesus is our teacher of Righteousness, sent from God. He tells us to repent of past sins and reform our lives. He shows us how to selflessly love God and others completely. He leads us to seek forgiveness when we stumble. He teaches us of God's perfect mercy. He challenges us to do Works of Righteousness. Jesus is God's best gift to humanity, who shows us the way to Salvation. We are led to believe in his mission because of his example. We are called to love God through his words. 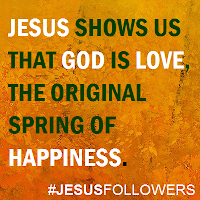 We are saved from evil and sin by following him, alone, and no other. We learn of God's plan for us only through his moral teachings. 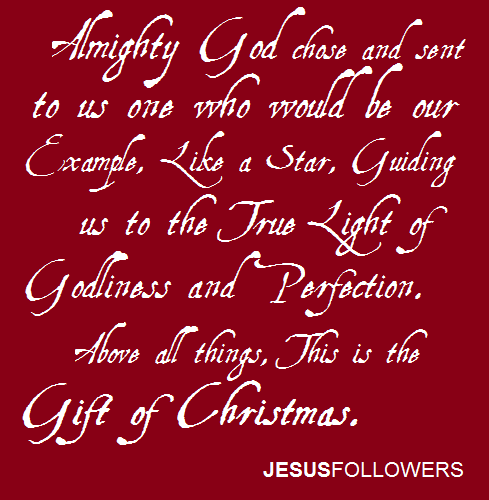 We thank God Almighty for choosing, anointing, and adopting Jesus as his Son and our example. His mission is confirmed by his example. His example proves his teachings are realistic. His teachings are true because of his message. His message has meaning because he is a man, like us. His humanity validates his mission. Is Modern Christmas really that far from the teachings of Jesus? In many ways, it certainly is. It focuses on “getting” far more than giving, on money and acquiring expensive things rather than on God and accruing spiritual riches, and it can often put the focus on pride, and ourselves, rather than on giving to others. In all these things, the Christmas that we keep today is indeed far from Jesus, and from the God Who chose him to be our example and guide in all things. Then again, our Modern Church often also reflects these failings, being too inwardly focused, centered on obtaining money and materialism, and obsessed with “rock star” preachers with huge egos. But do those who get so upset this time of year about how “secular” Christmas has become in our lives have a point? Or are they missing some of the wonderful redeeming values of the Season, even as most non-Christians celebrate it? Let’s take a look. 1. Modern Christmas has become a time for giving, with an emphasis on those in need. Jesus in fact said we are to give to those in need. 2. Modern Christmas features people coming around the table for big meals – including friends, co-worker, long-lost relatives and even the “black sheep” of the family. Jesus invited people to dinner; some who weren't on the guest list of the wealthy and powerful. “When you give a feast,” he says, “invite the poor, the crippled, the lame, the blind” (Luke 14:13.) He ate with outcasts, including hated tax-collectors and with sinners (Matt. 9:10-13.) He expanded his definition of “family” to all who did the will of God (Matt 12:50.) All of this outraged the religious elites of the day. 3. Modern Christmas has become a particular time for expressing love to people, and for reconciliation, even among enemies. 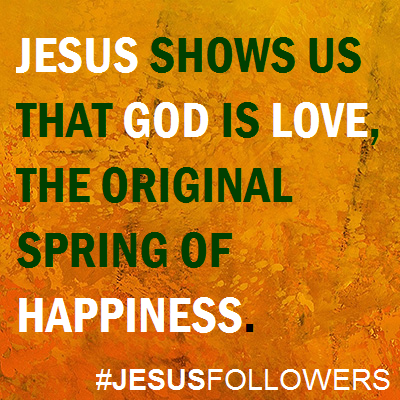 Jesus called people to love one another. Even our enemies. At all times. 4. Modern Christmas has become a time when people are focused on doing good to others. Jesus calls us to do Good Works and serve others righteously and in humility. Jesus says, “Do unto others that which you would have done unto you” (Matt 7:12.) Jesus wishes us to, "observe all that I have commanded you." (Matt. 28:20) and says we will do even greater works than he did (John 14:12) Jesus clearly says we must “Do Good” (Luke 6:35) and serve others. 5. Modern Christmas has become a time when we celebrate light in winter. Jesus calls us to always let our Good Works be a beacon of light, representing God’s Kingdom made “real” in the world. Of course, the clear difference between the “secular” Christmas and the Message Jesus proclaims to us is that Jesus’ message is what we who follow him are called to follow year-round, not just during one season. That, too, is what Jesus asks of us. And as Tiny Tim might say, “May God bless us, everyone,” at this precious time of the year, and always. Do we become Righteous in the eyes of God by doing good, or can we become Righteous just by saying that we're Righteous? That later short-cut has been the teaching of most Christian pastors in recent years, and it's a very dangerous subversion of what Jesus and the Bible has always taught. The teaching of modern Fundamentalist Christendom (of very recent origin) is that God can merely "pretend" that we've become Righteous, and will simply ignore our ongoing sinful acts, when we just accept His Son's sacrifice for our guilt. Some even go on to say that Jesus' Righteousness is "imputed," or handed over, to us by God the moment we simply say that we accept Jesus as our Savior. All that's required for this transaction to take place is for us to mouth a "salvation prayer." That means we can keep sinning, but God will only "see" Jesus' goodness, "covering" our ongoing evil deeds. Here's why this teaching is so wrong: Jesus, our Master, never said any of this. And Jesus is our God-appointed Master, not TV preachers, theologians or any other men. Jesus never tells us we can ever pretend to be righteous on the basis of another’s deeds. Nor did he teach that God will pretend that we haven't been sinning (or let us continue to do evil deeds) if we simply say we accept Jesus' death as a substitute, on the basis of our faith, alone. In Jesus' preaching, there is clearly no substitute for DOING righteousness. Righteousness is always stated by Jesus as something we must DO, just as it was in all the other books of the Hebrew Bible. And if God were to see the righteousness of JESUS, and not our own UNrighteous behavior, he wouldn’t be accepting US, but Jesus' righteousness on our behalf. But if God is pretending that we are righteous, and we are actually not, how does He remain Just, if he knows we are doing evil and unrighteous deeds, while hiding under Jesus' Righteousness? And further, if we accept Jesus' Righteousness as our own, without repenting, without changing our behavior, without performing the GOOD WORKS Jesus calls us to do, then are we not stealing his righteousness? How can any of our actions truly be OUR OWN? How can God see it as our own, if we did not earn it? And how can He hold us accountable for acts that are not our own? The short answer is that we cannot be "clothed" in a borrowed, second-hand version of Righteousness. God through the Prophet Isaiah tells us (1:16) "Wash yourselves; make yourselves clean; remove the evil of your deeds from before my eyes; cease to do evil, learn to do good." These are deliberate actions. They are acts we ourselves will be responsible for performing. This isn't as easy as taking on another's Righteousness. But it's the challenge of the Gospel Jesus taught. In fact, Jesus says we are judged not by our words, not by our intentions (and certainly not by another's) but by our own ACTS and DEEDS, and them alone. Period. 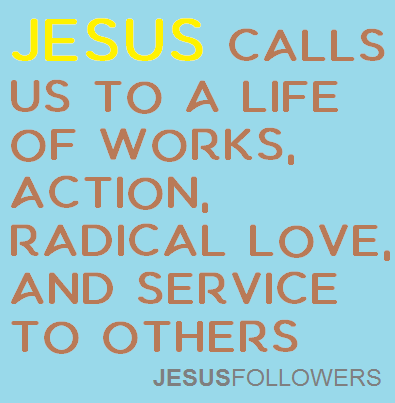 And the life that Jesus calls on us to pursue in his Gospel is a life of works, action, radical love and service to others. The Good News is that we obtain forgiveness for past misdeeds when we seek God's mercy by repenting of those sins. God, we are told, is merciful to those who repent. The Prodigal Son required no sacrifice to have his father to accept him back warmly in his arms. His brother did not need to be put to death, nor did he have to accept such as grisly sacrifice in order for the father's acceptance to happen. No one can be our "substitute" for us before God. Our repentance, our obedience, and our good works are all required of us, according to Jesus' express and clear teachings. Jesus is our Guide, who calls us to act Righteously before God and on behalf of our fellow human beings. There's no substitute for personal repentance and devoting oneself to serving others alone, rather than living selfishly and wickedly for oneself alone. So, we must reject the modern preachers' teachings. In truth, our acts, our repentance, and our Good Works must only be our own. Jesus says merely mouthing words, like, "Lord, Lord," or reciting man-made creeds cannot substitute for our actions, our deeds, which develop our righteous characters. We are, says Jesus, to lay up good treasure in our hearts and in the storehouse of heaven, and we do this by our own actions alone. We cannot, says Jesus, demand eternal salvation from God and certainly cannot take Jesus' Righteousness from him and claim it for ourselves by vain words. The teaching of the Hebrew Prophets, along with Jesus, is that we will be judged by our own deeds, and by our deeds alone, and that we will be judged by God alone. Jesus never taught that there is a substitute for God's judgment, nor for God's mercy on those who sincerely repent and ask for mercy. God doesn't say we get to judge our own actions as sufficient for eternal salvation, He tells us through his chosen Son, Jesus, that we must strive to make our actions more closely conform to the pattern Jesus sets for us. In this way, Jesus calls us to a vigorous GOSPEL OF GOOD WORKS to actively build a Kingdom of God on earth, as it is in Heaven. Jesus calls us to deny ourselves, to NOT selfishly seek to save ourselves, but to give up our selfishness on behalf of God's Kingdom. And we are to begin this work of the Kingdom RIGHT NOW. We cannot wait until our deaths to begin it, nor is anyone coming in the clouds to do the work for us. This Kingdom was proclaimed as being "in the midst" of those Jesus spoke to during his ministry. He proclaimed it at the behest of his Father - his God and our God, Yahweh. And to be clear, No, we don't "save ourselves" by doing good works without God. We do the works by which God alone will save us, if it is His Will. Christendom has warped and ignored Jesus' words and plain teachings that make this clear. They have substituted man's doctrines of Substitution, imputed righteousness and works-free easy-Believism in its place. All of these doctrines were created by theologians, preachers and other men. We can easily ignore these doctrines, since they do not come from our one Master, Jesus. Nineteenth Century minister Noah Worcester said, "Moral character is formed by a succession of moral acts; and this each moral agent forms for himself. Hence, every man must give account of himself unto God, and be rewarded according to his own deeds." He was far closer to the teachings of Jesus than the preachers are today. What went wrong? It's clearer than ever that we must force a New Reformation upon this wicked church. We must return to the very words of Jesus and the Bible HE knew to learn how we must live to please Almighty God. And then we must have the courage to live that faith by performing Good Works to bring in God's Kingdom, as Jesus commanded us to do. This joy, it's clear, can only be experienced by the consistent, faithful, practical believer. The friends of Jesus will possess the joys of Jesus; but the friends of Jesus are only those who do his commandments. We're called to study the attributes of God; the relations in which He stands towards us, and those duties which, consequently, we owe to Him. We're to make ourselves acquainted with the divine authority, the pure doctrines, the holy precepts, and the perfect character of the blessed Jesus.